P.S. I'm looking for readily available kits and if you include a link, please could it be to a website that uses GBP. P.P.S I love this forum!! All Hasegawa F-15A/B/C/D kits are in the configuration most commonly seen throughout the 1980’s. The F-15A/B kits lack the earlier mainwheel design to match the decals in their respective boxing’s which is a shame considering Hasegawa’s modular approach. These earlier wheels can be found in the ESCI F-15A/B or E Prototype kits. For faired jet nozzles on F-15A/B/C/D jets throughout the 1970’s, you’ll have to steal a pair from the Academy, ESCI or updated Hasegawa F-15I Ra’am kits. No Hasegawa F-15A/B/C/D kit can be built in the so called ‘MSIP II’ configuration OOB without scratch-building or using the F-15J ‘MSIP II Config’ kit for an F-15A/C or updated F-15E kit for an F-15B/D. You’ll also need Hasegawa’s Weapons Set 5 for the later missile launchers on the wing pylons, AIM-9L/M, AIM-7M and AIM-120B missiles (if wanted). ‘MSIP II’ decals can be found on Supercale, Repliscale, Astra and Caracal decal sheets. A massively expensive project if buying outside of Asia. Alternatively, you could just get hold of the updated Academy F-15C ‘MSIP II’ kit which has everything you’ll need in the box. Some UK RRP prices for you... Hasegawa, Academy. Interests:Aircraft, airshows, model making, sport, football, the mighty red devils! Worth considering the Academy F-22. One of the finest kits I've had the pleasure of building in this scale. Superior fit and detail when compared to the Revell kit, and can be found at a reasonable price. I have to agree that the best F-22 is the Academy kit also. Shape and detail wise, it's the most accurate F-22 overall. It also does not carry over the vertical tail (too short) and blunt nose/radome inaccuracies as the 48th scale kit does. If you don't want to spend much and don't mind an early Eagle, may I suggest the Airfix kit. Raised surface detail, but was regarded the benchmark kit, accuracywise, for quite some time by people who know more than me about such things. They are not considered collectible, and you may be able to get one for a fiver (€ or GBP). As I have never looked inside, I can't comment on their E boxing. Probably not quite as cheap, but also to be considered for A/B Eagles IMHO are the Esci kits, and Academy does some quite nice later versions. That said, the later Academy F-15C/D/E kits are very similar to the ESCI kits, though the panel lines on the ESCI kits are finer and more consistent than the Academy one when you have both kits to hand. 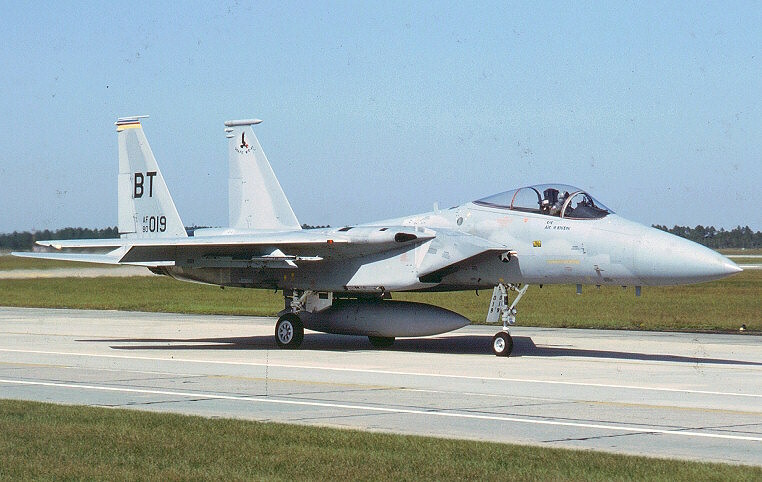 Also, the F-15E kit is just an F-15D without the full compliment of CFT pylons and other noticeable details. Still, the Academy kits are probably the best choice today when it comes to price, availability and variants you can build easily OOB. PS. Academy is likely to release an upgraded F-15E at some point, the revised tooling in the F-15C 'MSIP II' kit seems to point that way at least. The Airfix 72nd F-15 might have been the benchmark of F-15s at one time, though that had to have been before Hasegawa's original (raised panel line) 72nd Eagle came out. I actually reviewed the 72nd Airfix F-15 (MPC rebox) as part of a 72nd "Best F-15 kit" inquiry from my local IPMS Club. At the time (late 90s) among the F-15A-D models, Hasegawa's late tool (Recessed pane line) Eagle was top notch. I was surprised to find the Airfix kit to be fairly accurate shape wise over the Academy kit. It ranked just under the Italeri kit. The overall shape was good, except for the forward fuselage which was a bit narrow, canopy, and radome profiles are off, but really good everywhere else. The other problems the Airfix Eagle kit had was the crude detailing in the cockpit, landing gear, and Exhaust. The raised panel lines were grossly out of scale too. The Airfix 72nd F-15 might have been the benchmark of F-15s at one time, though that had to have been before Hasegawa's original (raised panel line) 72nd Eagle came out. The original Hase kit was released ca. 1975 and regularly updated from proto status to production shape, the Airfix was released in 1980. I am aware those are all opinions, but just the other day I re-read the Detail & Scale on the Eagle, and they "highly" recommended the Airfix as "excellent" vs. a recommendation as "good" for the Hasegawa. The Italeri Eagles (#166 E and 169 C, both bought in 1990) I'm aware of have really grossly overscale raised lines (much more so than Airfix, as I remember them). The Airfix Eagle is the only of the early kits (except perhaps the Monogram) to have any detail apart from decals in the cockpit (IP and consoles), though it only has a one-piece ESCAPAC - I don't think the original Hase was any less crude in that region, though it may have been upgraded somewhere along the line. My primary point was that if an early Eagle is not a hindrance and price is a point, Airfix could be attractive, as older kits tend to be dismissed simply on the grounds of being older. F-22: Revell is reported to be better than the Academy shapewise (the intakes for example). But the Revell kit has some nasty ejector marks and at least the earlier boxing has odd decal colours it was said. But from the rumor the best F-22 should be the Fujimi kit if you can get it (and want to afford it...). I have neither F-22 kit and so can only repeat what I read elsewhere. The recent upgraded Hasegawa F-15E has some corrected tooling and updated parts, but it's is not an all new tool Strike Eagle. Even so, it's good to point out that the earlier Hasegawa F-15E releases are like the 48th scale kits; F-15Ds with CFTS and bomb pylons; of which the ones on the CFTS are wrong. It should be noted that the Airfix F-15E (though not an accurate Strike Eagle, did have the correct CFT pylon arrangement. I used them on a 72nd Hasegawa F-15E build for a client at one time. Negative on the Revell F-22 shape accuracy over the Academy kit. Having been on the F-22 program, I had the opportunity to compare just about very F-22 kit to engineering drawings and dimensions taken off the real jet. Even though the ROG F-22 came out quite nice for being designed from basic outline dimensions and photos, someone at Academy had an inside track on the F-22, as they did a much better job with the shape and cross section. They did blunt the nose and get the vertical tails too short on the 48th scale version (I figured out how they made their mistake with the tails), but addressed those issues in the 72nd scale kit. The Fujimi F-22 kit is not really that good accuracy wise. It has some major shape problems and the landing gear is proportionally too large for the scale; especially the nose wheel. this is probably why the model sits too high. The side profile and cross section of the forward fuselage is off. The main Weps bay doors are dimensionally all wrong and the bays poorly detailed. The bulge transition from above the intake mouth going aft is quite exaggerated. it's like that area of the upper fuselage is "swollen". The Fujimi F-22 also has exaggerated "LO" surface detail; similar to the 48th Hasegawa kit, Shape wise overall, the ROG Raptor is better than the Fujimi F-22. I am not exactly sure when the Hasegawa’s 72nd F-15 kit first hit the market, but take your word on its initial release. The early raised panel line version I reviewed was a 1981 release; the recessed panel line version in our review pool was from mid 90s. The early raised panel line F-15A parts are identical to a later 1992 issue I have on hand. From our research back then, the original Hasegawa F-15 tooling was only updated from Prototype/FSD to production once around 79-80. I don’t recall if either kit (Early Has – Airfix) came out with an ACES II Seat though. All other Hasegawa “raised panel line” F-15s releases were just box and decal changes. Detail wise, both the Airfix and original Hasegawa Eagle kits are quite lacking, but Airfix's was more crude with their stores, gear, and Exhaust. The Airfix/MPC kit had a better cockpit compared to the featureless Hasegawa kit cockpit, especially compared to that terrible ESCAPAC seat rendition. I give kudos to the Airfix ESCAPAC seat though as for the time period, it is was decent for box stock. As far as D & S, while I did take note of their model recommendations, they did make some bad calls back calls every now and then. As for your original point, I think I supported that as again I mentioned the Airfix F-15 was surprisingly good for its day. 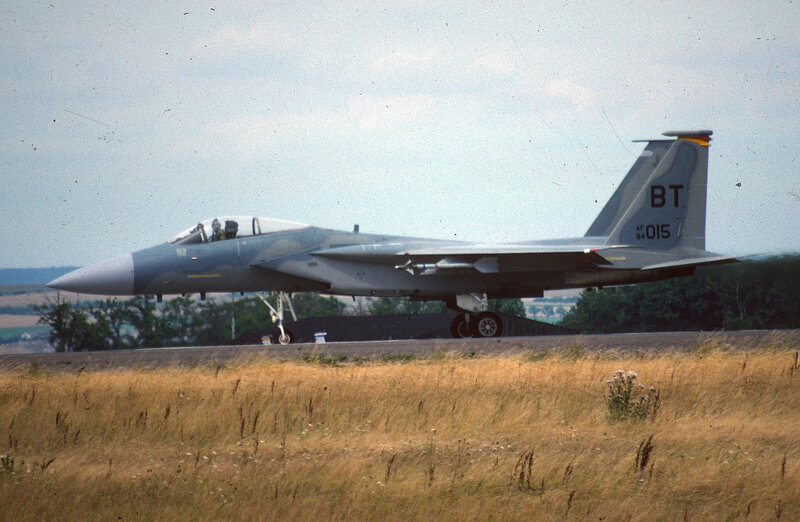 For today's standard though, I think I’d rather source a 72nd newer tool F-15A-D, as they can be had for cheap also. You are right - IIRC the panel lines especially around the engines are wrong - though I cannot say what is wrong. Thanks for your info on the F-22 kits. So Academy is the best - but what about this intake issue? Can you confirm this? Again I only found it oin the net but seem to recall there were pics of the real thing and the kits and it was plausible for me (but have to admit that my memory tricks me from time to time). I think I know what you're referring to as far as the Academy F-22 Intake issue. They did make an error with the Intakes. The problem is the dimension between the inboard intake mouth walls and the side of the forward fuselage. This is the space for the ACSC RAM air ducts and it should be about twice the spacing. When I built an Academy 72nd Raptor for a Pilot friend, I made a few cut adjustments on the inboard intake parts to get the correct spacing. I'd have to see if I logged the mod details in my notes as I don't have that model to refer too. Good you brought that up as I had planned to make a correction for that area. I don't know why Academy made that mistake with the intake IB sides, as the 48th scale kit is correct; yet they did correct the vertical tails and nose in 72nd. Just like to say that i've just completed an Airfix F15-e Strike Eagle as an f15-c from lakenheath and i must say i'm more than happy with the results, raided panel lines and all !